(MoneyWatch) While home prices are rising month after month for the first time in years, there are still great deals to be had in certain neighborhoods in various metropolitan areas around the U.S.
For less than $25,000, buyers can find a range of homes, from small, two-bedroom homes on the outskirts of town, to large homes with four bedrooms and hardwood floors. For this kind of cash, you already know these homes need a little (or more than a little) work to bring them back to their glory days. But for someone with the time, desire and a little extra money to put in, these homes could wind up being a good investment. "What Can You Buy" is a series that looks at what type of house and amenities you can get at particular price points in various locations across the U.S. Be sure to check out each of the posts in the series: What can you buy for $125,000?, What can you buy for $35,000?, What else can you buy for $35,000?,What can you buy for $3,000? This home located in the Venetian Hills neighborhood of Atlanta has two bedrooms, a family room and separate dining room. It features hardwood floors, plenty of cabinet space in the kitchen and an extra second-level playroom or bedroom. The home also has a private backyard and large front porch. This two-story home with basement is in Salisbury, N.C., a historic and vibrant community right outside Charlotte. The home is nearly 2,000 square feet, has three bedrooms and two bathrooms, as well as a built-in one-car garage. The home is assessed at $50,212, but you can snag it for just $19,900. Located in the growing Humboldt Park neighborhood of Chicago, this two-bedroom, two-bath brick ranch has plenty going for it. The 1.5-story home has a finished basement, living room, family room, kitchen and master bedroom, as well as an enclosed porch. With average home prices in the area hovering just under $200,000, this property could be a real steal at just under $20,000. For $25,000, you can own this three-bedroom, two-bathroom home in Dallas. The home has an eat-in kitchen with island and lots of counter space, a porch and a backyard that backs up onto a wooded area. Detroit is full of small, cheap homes -- so full that what you can buy for $25,000 in most other markets can be had for about $100 here. In Detroit, $20,000 can buy you a four-bedroom, three-bathroom Colonial-style home that has a living room with fireplace, separate dining room, kitchen with a breakfast nook, full basement and a two-car detached garage. This Baltimore row home, which goes for $19,000, has three floors, three bedrooms, one bathroom and a basement. The home was purchased in 2005 for nearly $50,00, and is still assessed at nearly that much, so the price tag is quite low for the area. This home in Cocoa, Fla., is located across the Indian River from Cape Canaveral, Fla., just a short distance from the ocean. For about $25,000, this three-bedroom, two-bathroom home has a kitchen, dining room, fenced-in backyard and screened porch. Or buy it for the land, rent it and wait to build. 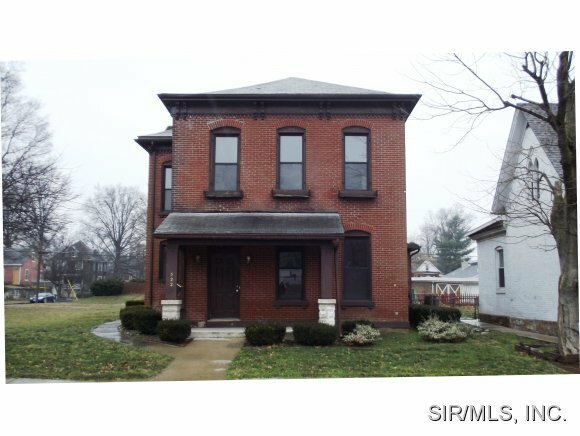 Located in Belleville, Ill., just outside St. Louis, Mo., this four-bedroom, two-bathroom home is quite the deal at $24,500. The home has a master bedroom the size of the living room, a family room, dining room and large foyer with a beautiful staircase. While it will take some work to fix it up, as most of these homes do, it has the potential to be a beautiful property living up to its $53,000 assessed value. For $25,000 in Omaha, you can purchase this 1.5-story, three-bedroom, two-bathroom home. The home has eight total rooms, a two-car garage, enclosed porch and basement. As of last year, the property was assessed at twice its listing price. Check out these other homes: What can you buy for $1,000?, What can you buy for $5 to $10 million?, What can you buy for $11,000?, What can you buy for $625,000?